Whatever type of business you run, communication between your staff and clients is absolutely key. These days, there are many more ways of communicating than in days of yore, which is why it is essential to ensure that your business caters for every generation. When a business expands, rebrands, or moves offices, it is particularly important to ensure that communications are not disrupted in the process. Here, we will take a look at how you can keep your business connected in times of change. Despite all of the new forms of communications that have arisen from the digital age, the good old telephone cannot be beaten when it comes to getting a straight answer on the spot. Customers of all ages value being able to contact a company via telephone in order to speak with an experienced member of staff who will be able to resolve their query quickly and efficiently. Whether you are setting up a new office, expanding your existing one, or moving locations, it is imperative that you have a consistent phoneline in place so that your customers’ expectations are upheld throughout the process. In such an event, it is essential to bring an experienced telecommunication systems company on board who will be able to assist you in developing and maintaining your communications both in and out of house. With any new telecommunications installation, there are bound to be teething problems, which is why it is important to find a company who are willing to be on hand to work through these with you, as and when they arise. Another communications system which is essential to maintain is a functioning email system. 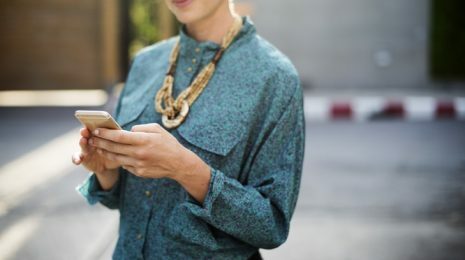 Increasingly, this is being viewed as the traditional means by which to contact a company and whilst an instant response may not be expected – unlike with social media – it is important to ensure that your clientele can communicate with you effectively via email. If you receive too many emails to trawl through each day, you should filter out any junk mail and employ a personal assistant who can highlight which items need a response. It is easy to miss an important email when you have a busy day in the office, which is why it is so important to have someone who is dedicated to the job of reading them. 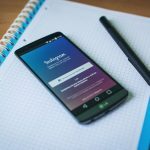 Social media is an ever-evolving medium when it comes to communications, which is why it is increasingly necessary for companies to have a dedicated social media manager. Not only can they connect with your client-base by sharing relevant news and company updates on platforms such as Facebook, Twitter and Instagram, they can also provide up-to-the-minute responses to your followers and customers so that your business remains up-to-date with the modern age. Your company’s marketing strategy should be immeasurably more complex than it would have been twenty years ago. Not only can you utilise telecommunications for marketing, now you can employ mass email campaigns and social media strategies to grab your customers’ attention. It is important to maintain an interesting, informative, and up-to-date website, where your customer-base can find comprehensive information on your services and how to contact you. By ensuring your communications are up to scratch from every angle, you can ensure your business stands the test of time.